When You use any of the services provided by Us through the Website or any physical activity , including but not limited to, (workhsops,lab tables, field trips, camps, birthday parties, etc), You will be subject to the rules, guidelines, policies, terms, and conditions applicable to such service, and they shall be deemed to be incorporated into this Terms and shall be considered as part and parcel of this Terms. We reserve the right, at Our sole discretion, to change, modify, add or remove portions of these Terms, at any time without any prior written notice to You. It is Your responsibility to review these Terms periodically for updates / changes. Your continued use of the Website following the posting of changes will mean that You accept and agree to the revisions. As long as You comply with these Terms, We grant You a personal, non-exclusive, non-transferable, limited privilege to enter and use the Website and our services. By subscribing to or using any of our services You agree that You have read, understood and are bound by the Terms, regardless of how You subscribe to or use the services. If You do not want to be bound by the Terms, You must not subscribe to or use our services. These Terms shall come into effect on 0000 hours India Standard Time on October 17, 2017.All further updates and changes shall specify the date on which the update will be in effect from. As a new Registered User, these Terms shall be effective and binding upon your “acceptance”. “Acceptance” shall mean your affirmative action in clicking on “check box” against “Agree to Terms & Conditions” and on the “Register Me” button as provided on the registration page or if you have registered by phone , then when you send a hatsapp message or sms/ email with your details .If you do not agree or are not willing to be bound by the terms and conditions, please do not click on the “check box” and on the “Register Me” button or send a whats app message or sms or email with your details and do not seek to obtain access to or otherwise use the Website or any of our services. You agree, inter alia, to: (1). provide true, accurate, current and complete information about yourself as prompted by Our registration form (such information being the “Registration Data”) If You provide any information that is untrue, inaccurate, not current or incomplete or We have reasonable grounds to suspect that such information is untrue, inaccurate, not current or incomplete, or not in accordance with the User Agreement, Nutty Scientists has the right to indefinitely suspend or terminate your membership with Nutty Scientists and refuse to provide You with access Nutty Scientists. When You use Nutty Scientists or send emails or other data, information or communication to Us, You agree and understand that You are communicating with iBhakti through electronic records and You consent to receive communications via electronic records from iBhakti periodically and as and when required. Nutty Scientists will communicate with You by email or whats app or sms registered with Us or by such notice or electronic records on Nutty Scientists which will be deemed adequate service of notice or electronic or mobile record. iBhakti provides a number of children based services which are marketed through its website (all such services, collectively, the “Service(s)”). Nutty Scientists provides various services for children aged 3-14 years like workshops, field trips, camps, lab tables, shoes, birthday parties and events. 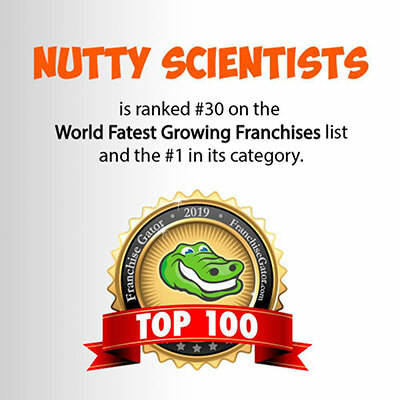 Nutty Scientistsalso offers a number of other services on its website such as message boards, forums, blogs and newsletters, which may change from time to time. The User agrees and undertakes not to reverse engineer, modify copy, distribute, transmit, display, perform, reproduce, publish, license, create derivative works from, transfer, or sell any information or software obtained from Nutty Scientists. For the removal of doubt, it is clarified that unlimited or wholesale reproduction, copying of the content for commercial or non-commercial purposes and unwarranted modification of data and information within the content of Nutty Scientists is not permitted. l. violate any of the Terms and other terms and conditions, as may be applicable for the use of iBhakti contained elsewhere herein. While We use and provide the best quality of products, Services, information, or other material purchased or obtained by You through Nutty Scientists, We are not responsible or liable under any circumstances if they do not meet your expectations. Unless otherwise indicated or anything contained to the contrary or any proprietary material owned by a third party and so expressly mentioned, The Juniors Club LLP through its franchise agreement with Activities for Children (Spain) owns all Intellectual Property Rights to and into Nutty Scientists, including, without limitation, any and all rights, title and interest in and to copyright, related rights, patents, utility models, trade marks, trade names, service marks, designs, know-how, trade secrets and inventions (whether patentable or not), goodwill, source code, meta tags, databases, text, content, graphics, icons, and hyperlinks. You acknowledge and agree that You will not use, reproduce or distribute any content from Nutty Scientists belonging to us without obtaining Our prior written authorization. Notwithstanding the foregoing, it is expressly clarified that You will retain ownership and shall solely be responsible for any content that You provide or upload when using any service, including any text, data, information, images, photographs, music, sound, video or any other material which You may upload, transmit or store when making use of Our various Services. Nutty Scientists may contain links to other websites (“Linked Sites”). The Linked Sites are not under the control of Nutty Scientists nor is Nutty Scientists responsible for the contents of any Linked Sites, including without limitation any link contained in a Linked Sites, or any changes or updates to a Linked Sites. Nutty Scientists is not responsible for any form of transmission, whatsoever, received by You from any Linked Sites. Nutty Scientists is providing these links to You only as a convenience, and the inclusion of any link does not imply endorsement by Nutty Scientists or Nutty Scientists of the Linked Sites or any association with its operators or owners including the legal heirs or assigns thereof. The Users are requested to verify the accuracy of all information on their own before undertaking any reliance on such information. You agree to irrevocable and forever indemnify, defend and hold harmless Nutty Scientists and the directors, investors, partners, Activity for Children and all its direcors, employees and persons who shall be associated with The Juniors Club LLP and Nutty Scientists from and against any and all losses, liabilities, claims, damages, costs and expenses (including legal fees and disbursements in connection therewith and interest chargeable thereon) asserted against or incurred by Nutty Scientists and/or its directors, investors, partners, Activities for children- directors and employees and persons that arise out of, result from, or may be payable by virtue of, any breach or non-performance of any representation, warranty, covenant, services or agreement made or obligation to be performed by You pursuant to these Terms. We hereby explicitly state that we will take all necessary precautions and care to ensure safety of all the children during any experiment/workshop/birthday parties, parties, events, camps or other activities that are performed by Nutty Scientists or its instructors , you agree to irrevocable and forever indemnify, defend and hold harmless Nutty Scientists and the directors, investors, instructors, employees, partners, Activity for Children and all its directors, employees and persons who shall be associated with The Juniors Club LLP and Nutty Scientists from any loss,liability,claims, damages arising from any injury , burns, any physical ailment suffered by your child while attending any activity conducted by Nutty Scientists or its instructors . Prices for products are described on Nutty Scientists and are incorporated into these Terms by reference. All prices are in Indian Rupees only. Prices of Services may change at any time at Our sole discretion. Nutty Scientists reserves the right to issue a warning, temporarily or indefinitely suspend or terminate your membership of Nutty Scientists and further reserves the right to refuse to provide You with access to Nutty Scientists website and services in case of non-payment of fees for Services used ,purchased or ordered by You from Nutty Scientists electronically or telephonically. Nutty Scientists also reserves the right to take such legal action as its deems necessary and appropriate in case of non-payment of fees by You to Us. All purchases on Nutty Scientists are a firm commitment from You to purchase. If You are the purchaser for any item and your purchase is accepted by Us, You are obligated to complete the transaction. An action to purchase may be increased in price or volume later but may not be withdrawn. Purchases cannot be canceled. By purchasing an item You agree to be bound by the Terms and other conditions of sale included in the item’s description (or linked to from the description) so long as those conditions of sale are not in violation of the Terms or unlawful. Nutty Scientists strongly advises You not to test the site with false purchases, as it will put You at a legal as well as a financial obligation and risk. It is an offence to use a false name, other false personal information or a known invalid Credit Card/Debit Card to make a purchase. Please be aware that even if You do not give iBhakti your real name, your web browser transmits a unique address to Us, which can be used by law enforcement agencies and officials to identify You. (ii) if it is believed that your actions may cause legal liability for You, other Users or Us. b. These Terms will survive indefinitely unless and until Nutty Scientists chooses to terminate them. c. If You or Nutty Scientists terminates your use of Nutty Scientists or any service, Nutty Scientists may delete any content or other materials relating to your use of the service and Nutty Scientists will have no liability to You or any third party for doing so. d. You shall be liable to pay for any Service or product that You have already ordered till the time of termination by either party whatsoever. e. Nutty Scientists may at any time at its sole discretion reinstate or suspended Users. A User that has been indefinitely suspended may not register or attempt to register with Nutty Scientists or use Nutty Scientists in any manner whatsoever until such time that such User is reinstated by Nutty Scientists. Notwithstanding the foregoing, if You breach the Terms or the documents it incorporates by reference, Nutty Scientists reserves the right to recover any amounts due and liable from You to Nutty Scientists and to take strict legal action including but not limited to a referral to the appropriate police or other authorities for initiating civil and/or criminal or such other proceedings as it deems fit and appropriate against You. These Terms shall be governed by and constructed in accordance with the laws of India without reference to conflict of laws principles and disputes arising in relation hereto shall be subject to the exclusive jurisdiction of the courts in Mumbai, Maharashtra. We encourage all our Users, members, subscribers and buyers, registered users of Nutty Scientiststo provide us with their valuable feedback after the transaction has been completed or closed. Your feedback will be displayed along with your User ID. You should be careful about making comments that are not factual in nature and should not post defamatory or illegal or offensive/obscene contents. You may not take any actions that may undermine the integrity of the feedback system. Nutty Scientists and its suppliers, affiliates and service provider provide iBhakti and various other services on “as is” basis and without any warranty or condition, express, implied, direct or indirect or statutory and specifically disclaim any implied warranties of title, merchantability, fitness for a particular purpose and non-infringement. You expressly agree that your use of Nutty Scientists is at your risk. The Payment Gateways are all secure 3 rd party secure Payment Gateways. These gateways have had online security check clearances from all national and international credit card companies and have all other necessary statutory government clearances. However Nutty Scientists is in no way responsible for any leak in information or any wrong use of information or any wrong transaction or stolen information or transactions that may occur due to any security breach in the bank or 3 rd party servers. As per these Terms, Users are solely responsible for every material or content uploaded on iBhakti. iBhakti does not review the contents in any way before they appear on iBhakti. iBhakti does not verify, endorse or otherwise vouch for the contents of any User or any content generally posted or uploaded on iBhakti. Users can be held legally liable for their contents and may be held legally accountable if their contents or material include, for example, defamatory comments or material protected by copyright, trademark, etc. If You come across any abuse or violation of these Terms, we strongly advise You to report to Us at the earliest.